Some of us are sleepy heads and enjoy working out later in the day. Others enjoy getting a great sweat in at the start of their day. And of course, any time of day is a great time to get a workout in. You’d never want to skip a workout completely because it wasn’t an ideal time, but what if you could plan accordingly to your type of workout’s best time? You can and here is how! Fitness expert, Greg Stark, shares with Sporteluxe. Read on for all the details and don’t forget your POW! So if you’re going to do a HIIT session hands down the best time to do it is first thing in the morning. You could also do a high-intensity session at lunch. However, there are many reasons why a morning high-intensity session is the ideal option. When you raise your heart rate it increases your circulation including blood flow to your brain. After high-intensity exercise, your ability to focus is increased and you’re able to retain a lot more information. 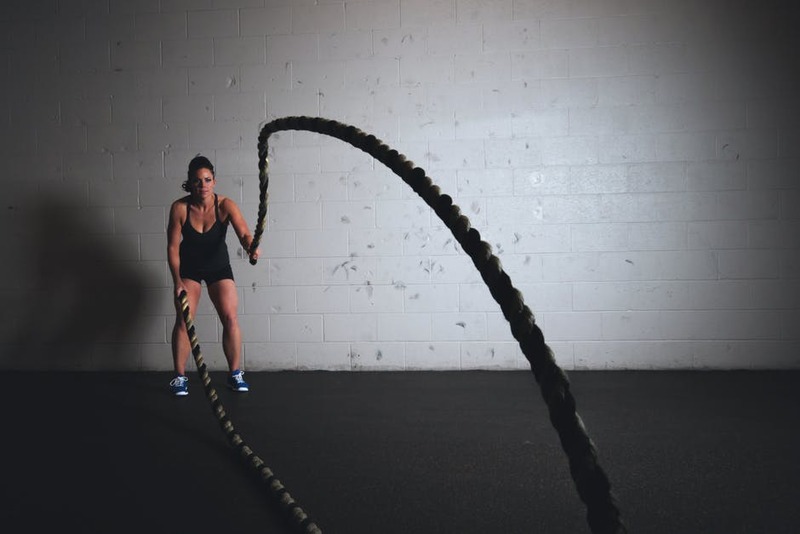 So a high-intensity session first thing will set you up for a productive morning at work! Many people also find it hard to switch off at the end of the day. Most of us are on the go all day long and bringing your body back down to a resting state, where you can get to sleep quite easily, can be a challenge. So you might think doing a high-intensity session in the evening would be a great way to release some stress. However, it is actually going to have the opposite effect of what you desire, in that it might keep you up for hours. Even people who usually don’t have a problem going to sleep, often find it tough to switch off and go to sleep after they’ve trained hard. So it’s important to control those things when you can. Lower intensity exercises are a much better option in the evening. One of the things I love to do when I get home is to go for a long walk. Of course, when it’s cold and dark in winter this can be a less appealing option than in summer! But it’s still definitely worth the effort and a good way to unwind. Yoga is also a great option to do at night.